Moving? We can help. 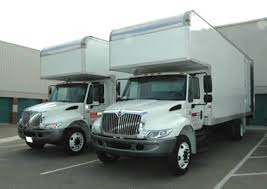 Klein`s Moving & Storage has been moving families and businesses for years. Our expert staff can help you plan your move across the street or anywhere within our professional movers will make sure your things arrive at your new home safe and on time! I just had the most awful experience with Klien. They were supposed to pack and load me in 3 days. It took them 5 days. It might have taken them 6 if I hadn't called them all morning yesterday and yelled about how it was Day 5. I found broken glasses. They missed tons of drawers. One of the movers pissed outside my house and now it reeks. They clogged my kids bathroom and didn't bother to say anything. They left cigarette butts in my flower bed. I watched them overload a truck with my household goods. I'm 100% all of my glass is broken and some of my items will be stolen/lost. I called today to confirm that my household goods would be delivered to VA on Monday. The guy came back and said it will be there July 7th. When I fussed about it, they told me to call back in an hour. When I called back, the next guy who claimed to be the owner rudely stated that he didn't know when my "stuff" was going to get there and to call back sometime next week. When I fused about their service and how my household goods was supposed to arrive on Monday, as stated in my transportation documents, he stated that he didn't agree to that and then he passed the phone to some random guy named "John" who was polite but still not very helpful. John told me he will work to get my household goods to VA by Thursday.An hour later, I get an email from stating that my delivery date has now changed to July 22 which is 22 days after the date I was quoted.Avoid them. Find another company. They are making promises just to get the job and money. They are unprofessional and a terrible company. NEVER EVER USE THESE GUYS. Easily one of the worst companies on the planet. They can't even give you A window of time of arrival the day of the shipment. No one seems to ever answer a phone. They have poor communication. I specifically asked my company not to use them but alas here I am frustrated. "hassle free" what a laugh. Avoid them at all costs they're antiquated and awful. This is a terrible company with terrible service. After we were packed out by Klein, we've discovered broken pictures, missing knobs for lamps, missing legs for a sofa, and other various items lost/missing/etc. Their packers are rude and unprofessional - one of them told us to "Chill out" when we asked if they would pack an item. Unresponsive, unfriendly, and frankly just bad at their jobs. They frankly deserve no stars for a lousy company and I strongly recommend that you look for another company. The fact that they don't have a website or phone number to call is yet another indication of how little attention they pay to their customers. Look elsewhere - do not think that Klein will do anything other than something awful. Our stuff is over one week late! We have two small children and they can't seem to give us a timeframe as to when it will be here! They are disorganized and do not return calls! DO NOT USE THIS COMPANY! I have moved over a dozen times in my life serving in the military and this was by far the worst experience I've ever had with a moving company. The packers were very good at my house, but the real problems appear to occur at the warehouse. Boxes arrived crushed and all of the high value items (TV, computer monitor, printers, bike, etc) were LOST OR STOLEN before the items were crated and sealed for shipping. The owner or manager of the company did a cursory investigation without any results. Insurance will cover the expense of these items, but the manager's lack of responsiveness or concern about items being stolen from within his warehouse was shocking. The basis of this type of business is the trust one places in the movers to carefully and responsibly ship the customer's household goods. They clearly have failed at their job and anyone considering hiring them should be aware of this.